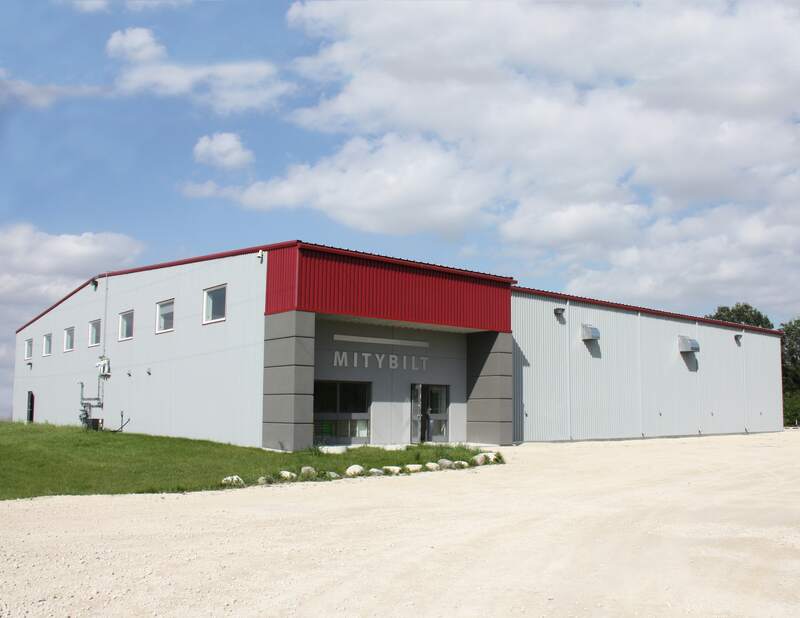 MityBilt is a family owned and operated company based in Stonewall, Manitoba and has 2 specialized departments MityBilt Office and MityBilt Educations that compliment each other. 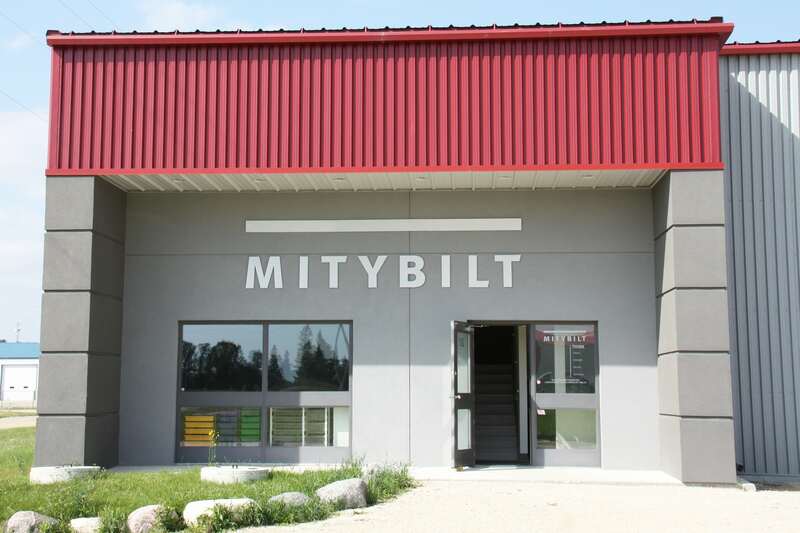 MityBilt Office is a high specifications line of furniture that has been designed to create sophisticated and exceptionally productive workspaces. 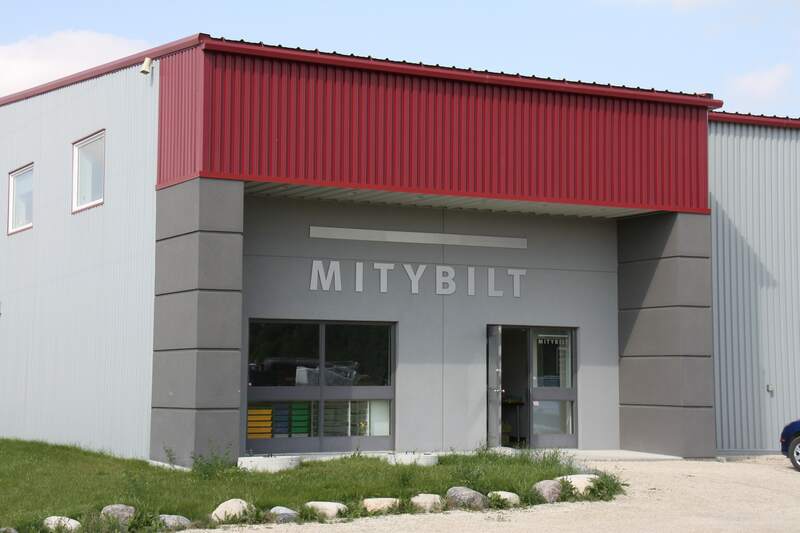 Where MityBilt Education is Canada’s first choice in innovative educational furniture. 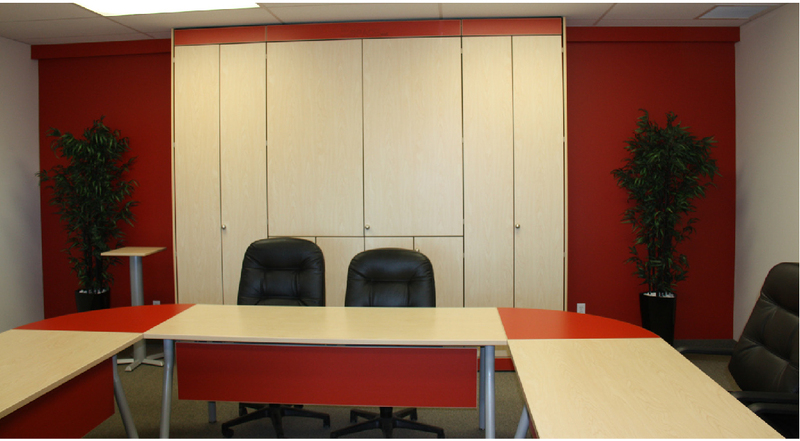 Specializing in Ergo-dynamic furniture for the 21st century classroom. 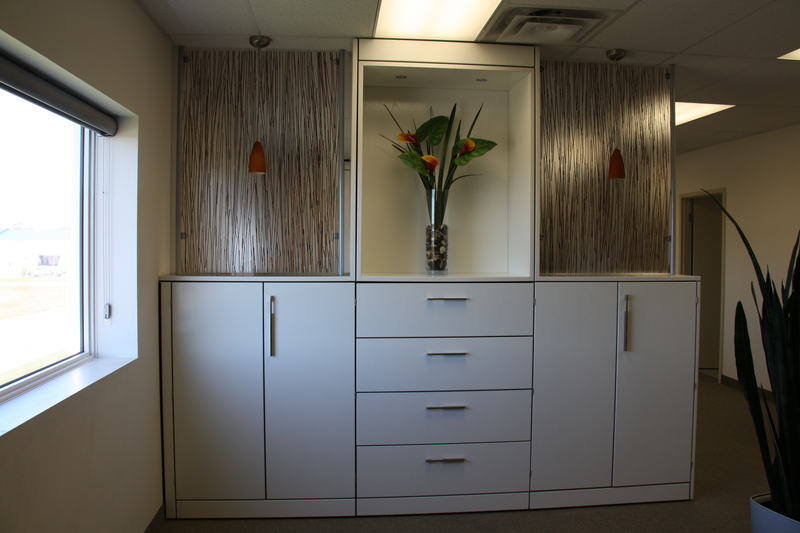 This manufacturer of quality school and office products, required a larger space to carry out their craft. 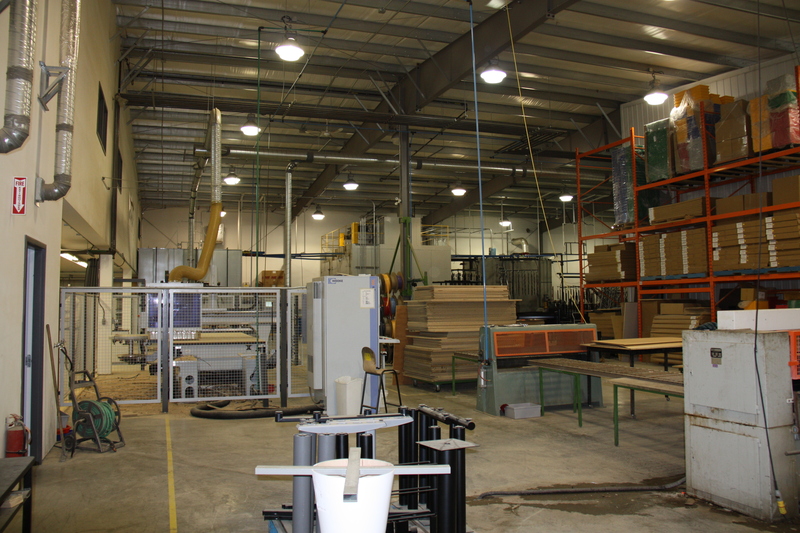 The building design includes office space, product display areas, plenty of built in furniture as well as a large manufacturing facility. 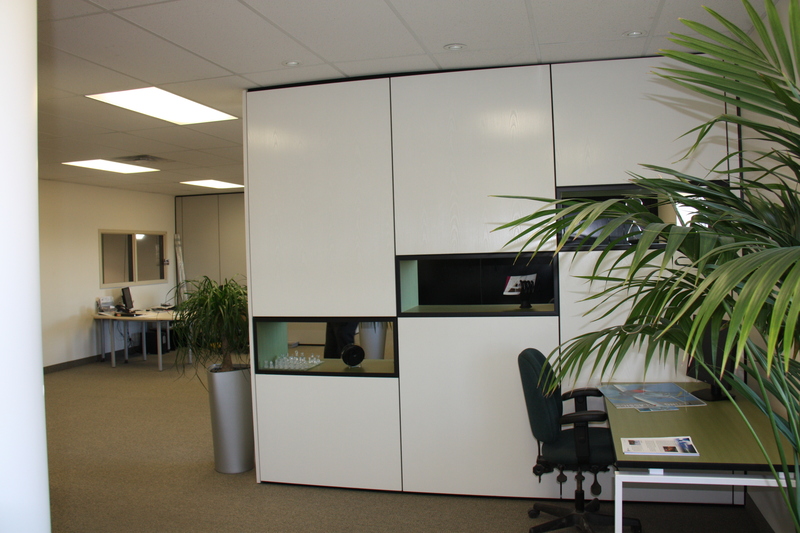 In addition there is a mezzanine for additional office space. The front entrance is defined by two giant columns surfaced in dark grey acrylic stucco and topped with a bold red fascia canopy creating a bold feature for the front of the building.